Rick Porrello wears many hats. 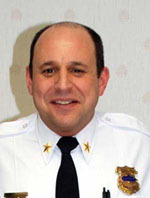 He is a Cleveland-area police chief and author of The Rise and Fall of the Cleveland Mafia. Porrello began writing his first book during research into the murders of his grandfather and three uncles, who were mob leaders killed in Prohibition-era violence. Read the Preface. The book, published in 1995 by Barricade Books of New York City, quickly became a regional favorite, went through several hardcover printings, then was republished in paperback. Porrello is an accomplished jazz musician and soloist. 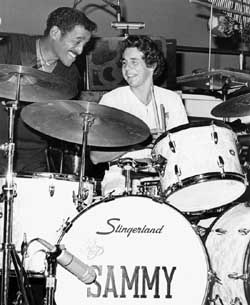 In 1981 he took over the drum throne from his brother Ray Porrello , then stickman for Sammy Davis Jr. for seven years. That fortunate break started Rick on a two-and-a-half year stint involving extensive traveling including Europe, South America, Australia and of course the regular venues of Las Vegas, Reno, Lake Tahoe and Atlantic City. Accompanying Mr. Davis, Rick also had the honor of working with the great Count Basie Orchestra and, has appeared on several television shows including Johnny Carson's "Tonight Show", understandably Rick's most memorable career highlight. Despite the excitement and promise of such early success, a second career interest eventually pulled Rick from the Davis gig and he returned to Cleveland to begin college studies. In 1986, despite opposition from family and friends, Rick traded his sticks for a badge and .38 special when he joined the police force. Since childhood, Rick had an increasing interest in police work and despite a skyrocketing music career, he decided that protecting the public was more important to him then entertaining them. 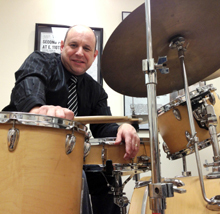 Rick Porrello continues to perform in the N.E. Ohio area. In 1998 Rick's second book was published. Titled To Kill The Irishman: The War that Crippled the Mafia, it is the definitive story of Danny Greene, a fiercely proud Irish- American racketeer who took on La Cosa Nostra, sparking events that led to the fall of several Mafia families. To Kill The Irishman was under motion picture option for several years and is now a movie (2010) Kill the Irishman starring Ray Stevenson, Vincent D'Onofrio, Christopher Walken and Val Kilmer, and directed by Jonathan Hensleigh. Rick's latest title is Superthief - A Master Burglar, the Mafia and the Biggest Bank Heist in U.S. History. 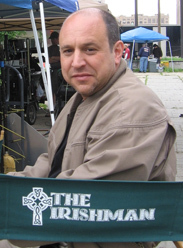 The title won second place in ForeWord Magazine's 2005 Book of the Year Awards true crime category, and is in development as a motion picture with filmmaker Tommy Reid, producer of Kill the Irishman. Please note that Rick Porrello is an author and not an organized crime or Mafia expert. He does not maintain contacts with mobsters, is unable to assist with family history research and is unable to provide assitance with locating photographs. If you believe you are the victim of organized crime, you may seek help from your local law enforcement agency, state attorney general's office, the F.B.I. or U.S. Attorney's office. Sorry, we are unable to personally accept research inquiries.